When you feel called to make changes to your career situation at midlife it can feel scary when you think about what may lie ahead. You may be unhappy in your role, but is it worth upsetting your whole career ‘apple cart’? After all, career change or career development will likely impact on not just you, but maybe also your partner, your family and other people around you. At Career Reinventors 40+ we want you to ENJOY the experience of growing and learning that reinventing or reinvigorating your career will open up for you. Our 3-in-1 approach to career change or career development is specifically designed to enable this. Our career change and career development methods enable you to think creatively about new career paths and new career options and also to develop your new career ideas in detail. In addition, our methods always lead into an action planning phase. Having effective processes means that you can relax, explore your career dreams and new career scenarios, and know that you won’t get lost in your self-reflections. Our proven processes will keep you on track and moving forward to your new career. Our powerful and proven Reinventu™ process is underpinned by research from the innovation and psychology bodies of knowledge. You’ll save time and money by working with this trusted process. ​We provide you with career change and career development tools and techniques which will help you greatly increase your self-knowledge and self-awareness. This means you'll have the best possible chance of identifying new career options that are ‘authentically’ you. ​We help you develop the most resourceful outlook for each stage of your career change or career development journey e.g. curiosity, openmindedness, confidence and resilience etc. This will help you to find more inspiring new career options and help you explore them and pursue more effectively. You’ll develop new personal qualities and resources to draw on, which will help you maintain your motivation through the whole of your career change or career development journey. Our three hour evening career change and career development workshops provide specialist help scheduled to fit around your professional career commitments. The intensive workshop format and the pre- and post-session materials and resources all help you make maximum progress in the available time. You won’t need to factor in ‘travel time’, so even after your evening career workshop, you’ll still be able to enjoy some ‘down time’ after your day at work. We offer you high quality materials which will help you get the most learning out of our time together. We give you a warm welcome to every workshop and facilitate a supportive learning environment so that you can relax and learn effectively. Through sharing your insights and experiences hearing from other midlife professionals, you’ll get new perspectives and bond over your career change and career development ambitions. Our weekend career change and career development workshops immerse you in an exciting exploration of your career reinvigoration and career reinvention options. We use the proven Reinventu™ process that's underpinned by research from the innovation, coaching and psychology bodies of knowledge. This 5-stage process is uniquely able to help you get powerful career change and career development 'insights'. This means that you’ll open up new career paths and career opportunities that were previously hidden from you, and which are deeply rooted in YOUR particular career values and career aspirations. By attending a short series of career change or career development workshops and working through pre- and post- session 'homework', you'll be able to cover a lot of ground quickly and get a real feeling of satisfaction as the way forward for your career becomes much clearer. We keep up the momentum with follow-up sessions and the option of group career coaching to keep you on track with your career reinvigoration and career reinvention goals. ​When you choose Individual career change or career development coaching you'll work in a supportive space with a highly experienced career coach who’s dedicated to helping you to uncover your unfulfilled potential, helping you to identify meaningful and authentic new career goals and to helping you bring your plans to fruition, so that you feel fulfilled once more. Career coaching sessions typically take place via Skype and may follow the Reinventu™ process where relevant. With individual coaching you get to work on exactly what you want to work on, when you want to work on it and at your own pace. This means that you can fit your career coaching around your professional career no matter how demanding it is. We provide you with pre- and post- session materials personalised to your specific situation and emerging needs, to help you reflect, and gain further self-awareness and career insight. If you’ve started on your career change or career development journey but would like support as you move forward and refine and implement your plans, then you’ll find what you need by joining one of our career change or career development coaching groups. Along with support, group coaching provides you with a regular opportunity to share your progress towards your career reinvention or other career goals and tap into new resources and ideas. You’ll also have the chance to set and work towards new ambitious goals and get support to keep you on track and moving forward on your career reinvigoration or career reinvention journey. We offer group career coaching in face to face groups and over skype. 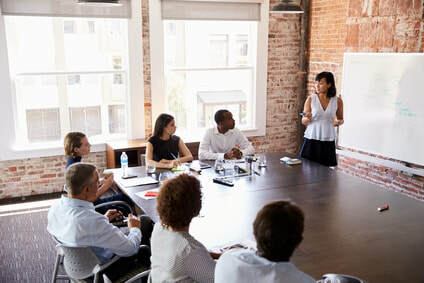 Group coaching is a highly cost effective way to maintain your motivation while you reinvigorate or reinvent your career, which will mean you reach your career goals sooner. Previous attendees have mentioned that the support they’ve received from other midlife professionals in a similar situation inspired them and kept them focused and accountable and stopped them wasting time, effort and money.